“More wood!” This line was repeated countless times by Groucho Marx as he conducted a coal-fired steam train. The 1940 film Go West shows how Harpo and Chico destroy all of the train’s cars, leaving only the metal cage. All of the wood was consumed. The pulp and paper industry needs to produce more lumber but, as satirised in the film, this raw material does not simply appear out of nowhere. It is a scarce resource that, in the case of our industry, needs to be produced and managed in a sustainable manner, at a competitive price, in compliance with all legal and environmental regulations. This is Altriflorestal’s mission, a company that manages 82 thousand hectares of forest, from the Algarve to Minho; an area segmented into four regions: North, Middle Tejo, West and Beira Interior. In order to accomplish this mission, Miguel Silveira, CEO of Altriflorestal, explains the four major strategic goals for the company: to improve forest management; increase the forest area managed; make operations and processes more efficient; and focus unequivocally on training and sharing knowledge among stakeholders. This maximisation of the existing production area begins with plant selection. Selection takes place at Viveiros do Furadouro, a nursery that has been working on a program to genetically improve plants for the past 60 years, using cutting edge technology and know-how acquired in the field. The nursery is owned by Altriflorestal and carries out research and development on plants with a greater capacity to adapt to the types of soil where they will be used. The objective? To take the greatest advantage of the plant’s genetic factor. Using genetically enhanced plants to produce pulp is important, but it’s not enough. “Planting trees with the best genetic material in less fertile soils does not produce great results.” This is easy to understand. To obtain good results, these initiatives must be “accompanied by good forestry practises that include, for instance, fertilisers, in order to guarantee the best conditions for plant development”. In order to explore this subject further, four years ago Altriflorestal initiated a fertilisation program with tests in various regions in the country, to specifically adapt fertilisation to each location. 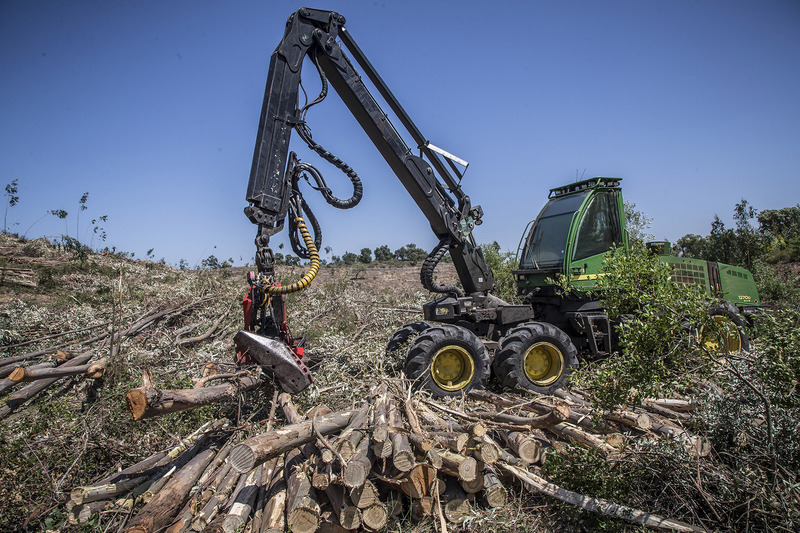 At the moment, the company is moving towards precision forestry, improving procedural efficiency, consuming fertilisers more efficiently, guaranteeing that the result maximises productivity as much as possible. Another aspect that is being developed to reduce production losses is fighting pests and disease like the eucalyptus weevil, a pest that afflicts eucalyptus trees and affects productivity in some parts of Portugal. “Our research is developing effective methods to fight this pest, reconciling them with the development of the plants’ genetic features. 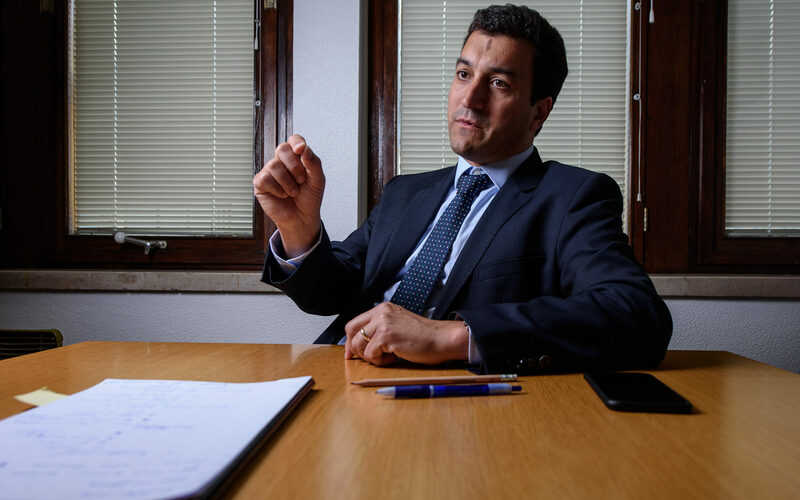 Everything is carried out with a great focus on productivity”, concludes Miguel Silveira. Aside from the threat of the eucalyptus weevil, other factors also cause production losses, such as fires or drought. We cannot emphasise enough that the pulp and paper industry does not use burnt timber. Factories do not want to risk introducing charcoal in the production line. In order to avoid losing raw materials, fire prevention is initially carried out using an Altriflorestal mechanism that is implemented every year to control vegetation in a forest area between 15 and 20 thousand hectares. This work includes creating or clearing paths, firebreaks and water points. Furthermore, during the fire season, a large portion of Altriflorestal staff spread throughout the country collaborates actively with Afocelca teams (ACE and The Navigator Company), to fight fires. The raw materials used by Altri result from the production area managed by Altriflorestal and timber purchased from third parties. Fires are always a problem in our industry. If the burnt areas were replanted, they would only start to provide lumber after 11 or 12 years. If we look at the annual timber production curve, this will present a drop over the next years. 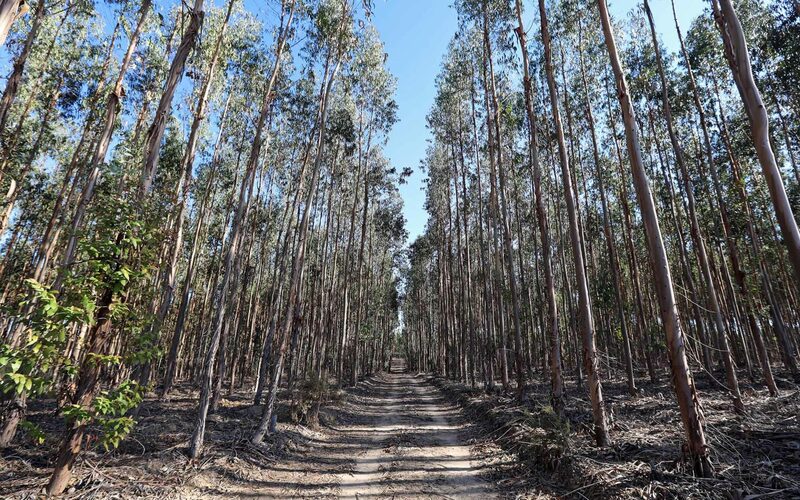 Miguel Silveira states that in two or three years this scenario may become serious for the eucalyptus-based pulp and paper industry, although this is not the segment that suffered from the most fires. One way to minimise the impact and propensity of forest fires is to have more managed eucalyptus areas. Last year Miguel Silveira accompanied some of the major fire-fighting operations, helping support Altriflorestal staff that is carrying out extraordinary work with Afocelca night and day. One of the most notable aspects in these situations was the amount of unmanaged areas outside of Altriflorestal’s management. According to the CEO, when a fire reaches an unmanaged area, it is terribly difficult to control. “From what I saw and heard from people, they stated unequivocally that they prefer to fight a fire within the areas managed by pulp and paper companies because it is less intense.” Miguel Silveira justifies his statement. “When vegetation is controlled, the roads and paths are in good condition. Fire fighting is much simpler and it facilitates the whole operation. We know the paths, we have water points to refill, places to get out if necessary, we know the location’s exit strategy, everything is planned before initiating fire fighting in the managed area”, he explains, noting that if we increased the forest area managed in Portugal, whether by pulp and paper companies or landowners, it would make everything much easier. He also states that many forest owners don’t develop management tasks, most likely due to the small size of their properties. 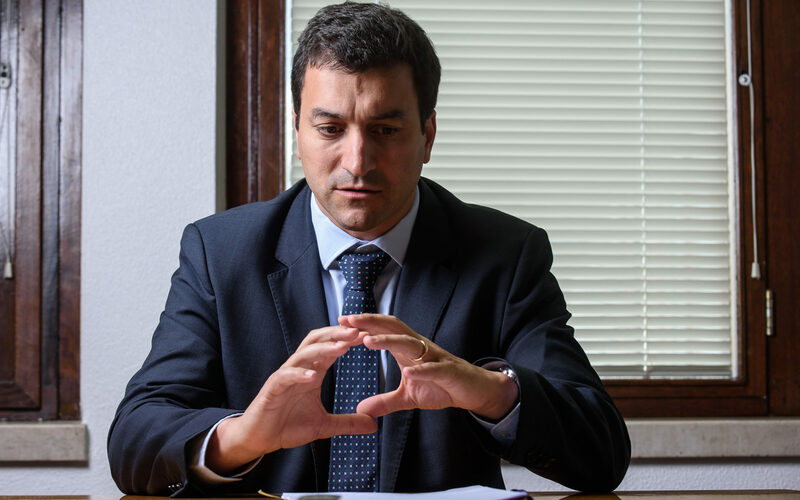 Silveira believes that an alternative to overcome this difficulty could be to expand or promote the area actively managed by pulp and paper companies, including small landowners in these sites. The Melhor Eucalipto (Better Eucalyptus) project, developed in partnership with Celpa, aims to help /show landowners that it is good for everyone to manage eucalyptus and forest areas. This is good for the environment, for fire prevention and productivity. “This is the only way to achieve a balance between the economic, social and environmental elements. The project focuses on these three pillars, which are indivisible”, says Miguel Silveira. The idea is to show that you can increase revenue and reduce the risk of losing your investment due to fires. A conservative estimate demonstrates that productivity in this area can be increased by about 10 to 15%. Forest management implies actively controlling large areas. Residual forest biomass is used to produce power in the group’s power plants. Therefore, Altriflorestal enables landowners to dispose of biomass resulting from their forestry activities, thereby reducing the fuel load and consequently the risk of forest fires. Altriflorestal recently signed a collaboration agreement with a Municipal Council and Association of Forest Producers, in order to create parks to receive forest biomass in the centre of Portugal, thereby facilitating the collection of biomass resulting from forestry. This model will also be implemented in other regions of the country, in locations where the fuel load and logistics require it. As with everything in life, there is almost always room for improvement, and Altriflorestal has always strived to increase its procedural and operational efficiency. Therefore, like in other companies in the sector, Altriflorestal outsources all services associated with forestry. We do not have our own teams. We do not have our own machines. The company’s only resources are team leaders who manage operations in the field and oversee the outsourced services and their efficiency. “When service providers start to work for us, we provide training and safety guidelines to begin building efficiency”, says Miguel Silveira. To achieve that objective, the company has a series of mechanisms that materialise into projects. Those initiatives help identify the challenges and improvements that need to be applied in each area of operation. Regarding work safety, the company developed an initiative that involved adapting a truck with a mobile training unit that travels to work sites to provide training on safety measures that must be adopted on the work front. This initiative led to a decrease in work-related accidents below the national average in the forestry sector. Another point where Altriflorestal aims to improve efficiency is in plantation, which at the moment is carried out manually. The challenge for the future is to understand if there will be people to carry out this task in 10, 20 or 30 years. To resolve this situation, the company is working with a Finnish firm to develop a machine that will perform this task automatically. This automation will plant, irrigate, apply fertiliser and gel, all at the same time. 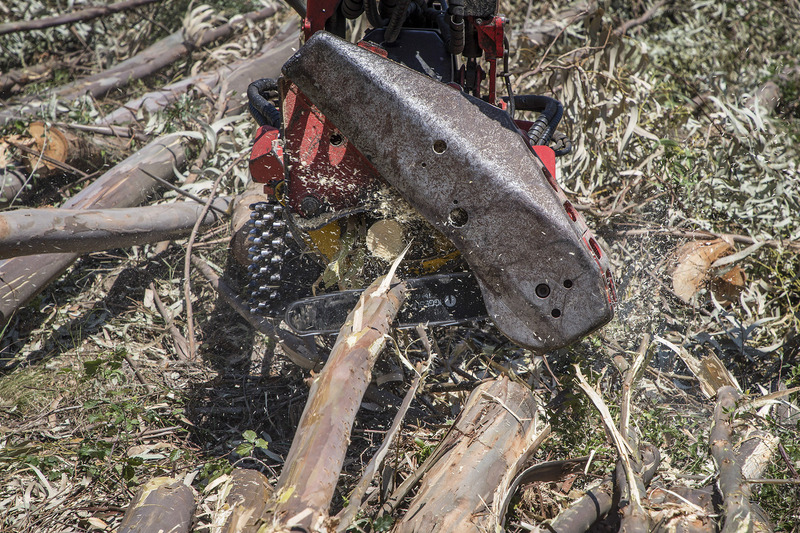 To improve the efficiency of eucalyptus stump removal, the company has also developed, in partnership with a Portuguese metalworking company, a backhoe that carries out this process, enabling a more thorough removal by clearing rocks and earth as well. The final result was encouraging. In the vast raw materials factory that is the forest, efficiency and productivity are associated with operating costs which, in turn, are related to the cubic metres of matter per hectare. 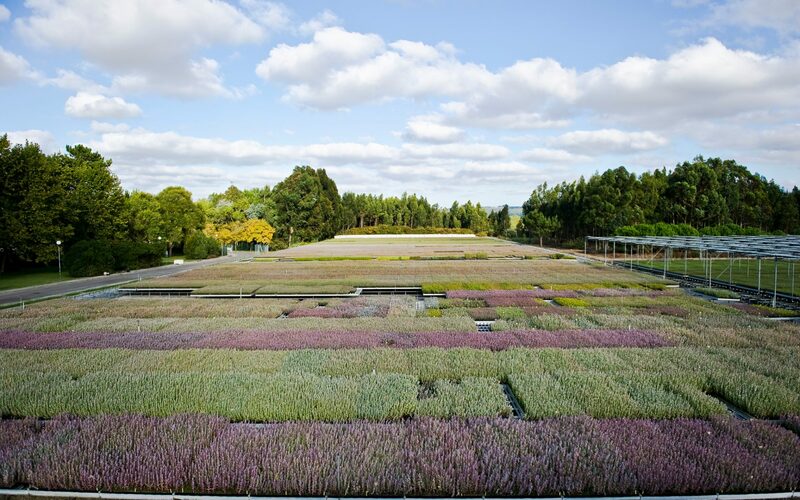 To better control this process, the company decided to introduce a forest management software to manage the entire activity transversally, from the nurseries to accounting. The application was developed and configured to accommodate Altriflorestal’s specific needs. This software was obtained from a Brazilian firm that works with major pulp and paper companies in that country, and provides data to aid decision-making. “When to fertilise, when to plant, what species is most advisable. Everything is available on the system across the entire company”, states the CEO, noting that all information is registered and detailed in the system to help decision-making in the future. What should be done and when. If fertiliser is applied and it doesn’t rain, the fertiliser is useless, if the forest is cleared at the wrong time of the year, etc. This is all important to ensure the best productivity possible. And this improvement is only possible if you control and analyse all of the management information. People who work in manufacturing know that production cannot stop. An unplanned stop, even if for a day or a weekend, incurs great losses. 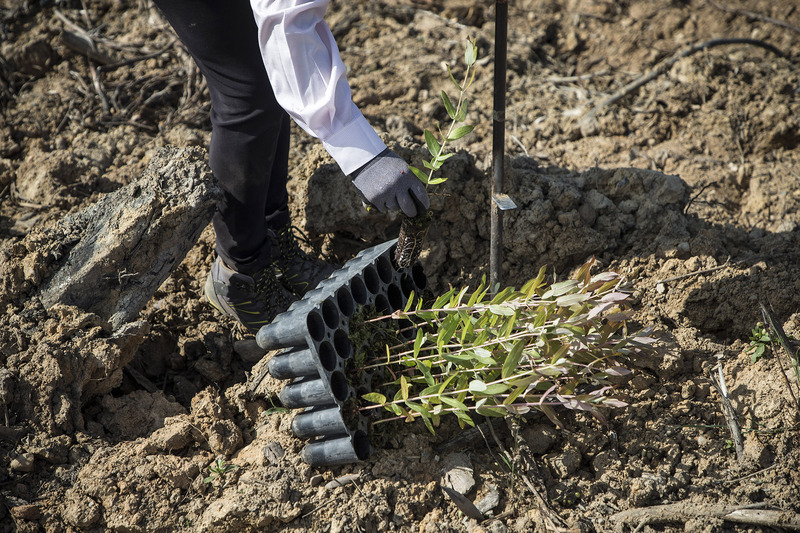 At the Altriflorestal factory, there is on average a six-month period between cutting and replanting trees. This period represents half a year’s gap in forest production per hectare. The initiative that will be introduced shall shorten this waiting period by half, namely providing three months of land fallow. “If we shorten this period, we will achieve more production than before”, claims Miguel Silveira. Finally, to help increase operational and procedural efficiency, Altriflorestal has a protocol with Instituto Superior de Agronomia (ISA) to create think tanks that analyse forestry problems in pulp and paper production, as well as solutions that can be explored and developed inside the university. This agreement with ISA also includes the possibility of taking on interns, namely master’s and doctoral students, to work with Altriflorestal. Managing the company’s knowledge is crucial to ensure the success and temporal sustainability of operations. The logic behind this fourth and final pillar of Altriflorestal’s strategy is easy to understand, but extremely complex to put into practise. Those who have read this article can imagine the vast amount of information collected by Altriflorestal staff in the different operations the company performs across the country. A major effort is being made to improve management information, accompanying the evolution of forestry throughout the entire production process. And what happens to the information and knowledge developed by our employees in certain areas over time? How do we turn the know-how acquired into structured knowledge that can be distributed and used as a competitive edge by all Altriflorestal staff? Miguel Silveira recognises that many workers spend their day in the field and it is important to maximise knowledge sharing among colleagues, even if they are in different physical spaces. One of the common objectives across the entire company was to create the conditions to increase this knowledge exchange. He recognises that the know-how acquired by staff, which can be called empirical knowledge, is extremely valuable to the company. As an example, Silveira mentions the case of forestry foremen and how well they know the areas and the trees’ reactions to certain treatments. “We have not reached our goal yet”, he states. He would like to have a database on the Internet or a collaborative platform where, whenever employees have doubts about a topic, such as fertilisers, they could search the database and have access to all of the information created and provided by other workers who have been in the same position. This project is of utmost importance to everyone’s development; it is an asset for the company and the employees, who should be able to learn from another colleague’s information. “Information is power” and the idea that sharing knowledge does not diminish the knowledge holder, but quite the opposite, has to be a priority at Altriflorestal. We must build knowledge sharing, Miguel Silveira states, adding that “the best asset we have is our workers, and their evolution and excellence is also our own”. By mid-July, the United Kingdom and Sweden were the countries with the largest forest area in the European Union. The heatwave that has been felt this summer in Northern Europe has created a set of fires in countries that are not accustomed to deal with a high number of ignitions. Sweden had temperatures of 33 °C, anomalous to those latitudes, and recorded more than 50 fires. All of the country’s fire brigades were deployed, including those on holiday, and more than 500 military personnel. The proliferation of fires has led Sweden to exhaust the means at its disposal to deal with the fires and has requested EU assistance through the European Civil Protection Mechanism. Some of the areas consumed by the fire were close to the Arctic Circle. It should be noted that Sweden does not have eucalyptus in its forest. The same situation take place in Greece. A country that does not have eucalyptus in its forest and this summer suffered major forest fires that affected localities and villages, devastating the regions of Mati and Rafina, causing 93 deaths. 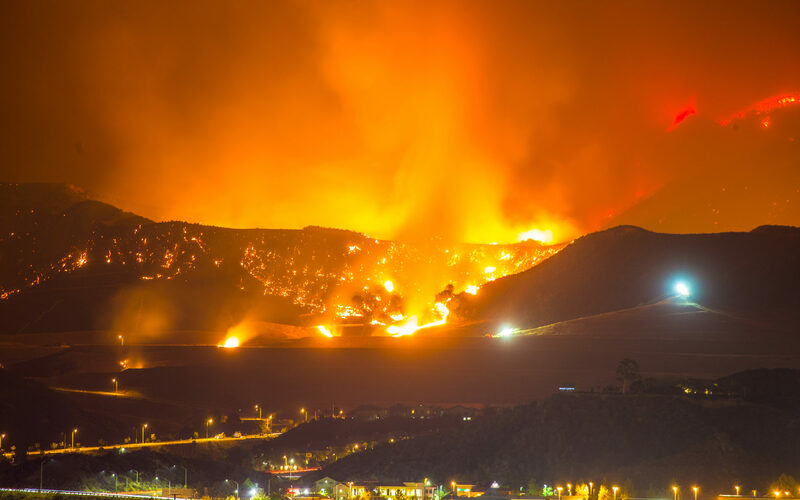 In California, there were several major fires. One of them, the largest in the region, burned uncontrollably for more than three weeks in what is considered one of the longest and most destructive fires in the history of this american state. A scenario of devastation that also happens in territory in which eucalyptus is not present.